SSG Eric Myers, his wife and his daughter, were given the keys to their new home in Linden, North Carolina. 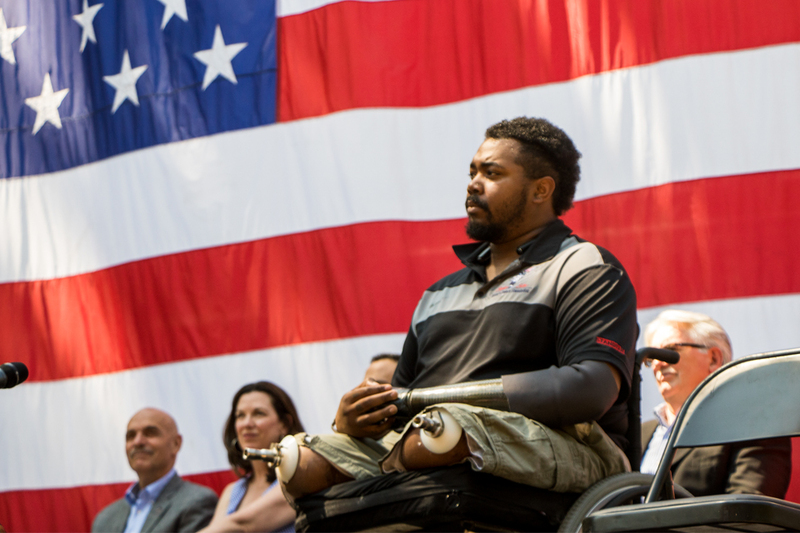 The smart home was built as part of the Stephen Siller Tunnel to Towers’ Building for America’s Bravest program which builds smart homes for catastrophically injured veterans and incorporates technology that will make day to day living more manageable for SSG Myers. Myers had served ten years in the military, and was deployed in Afghanistan as a field artilleryman with the 82 Airborne Division, when he stepped on an IED. He suffered serious injuries as a result of the explosion - the loss of both legs above the knee, one finger, and forearm nerve damage. The custom-built smart home was built with the help of many generous sponsors, including Burlington Carpet One Floor & Home in Burlington, NC, which donated the flooring installation throughout the home.